After the 1845 Poor Law Amendment (Scotland) Act, poor law provision in Glasgow was divided between four parishes: City, Barony, Govan, and Gorbals. Between about 1845 and 1850, Govan had a poorhouse on Dale Street (now Tradeston Street). In about 1852, Govan set up a poorhouse in buildings converted from former cavalry barracks at the west side of Eglinton Street. The architects for the work were James Salmon (Senior) and Robert Black. From this date, Govan also provided accommodation for paupers from Gorbals parish, before eventually forming joining with the parish in 1873 to form the Govan Combination. Govan Eglinton Street site, c.1861. Govan Merryflatts site from the south-east. The main poorhouse block ran down the eastern side of the site. The entrance and offices lay at its centre, with male accommodation to one side, and female to the other. The asylum block was located the south of the poorhouse. In 1908, the Board of Supervision published extracts from the previous year's annual report by the poorhouse's governor, John Thomson. The dietary is as sanctioned by the Local Government Board, subject to alterations or additions ordered by the Medical Officer; it is a question whether an ad libitum diet would not be a great improvement. One thing is certain, it would prevent articles of diet being carried about the persons of inmates or kept about the wards, much of which is ultimately wasted. The Discipline of the Inmates. Owing to the ever-increasing number of comparatively young men and lads who are frequenting the Poorhouse, this is becoming a serious question, and particularly in a house such as this, where it is practically impossible to prevent them mixing with the more aged of the inmates, who are fair game for some of their pranks, and any punishment the Committee or the Governor can inflict is no deterrent. The Kind of Work Provided, &c.
For the men — manufacturing firewood, stonebreaking, tailoring, shoemaking, joiner work, assisting the various tradesmen, and cotton-picking. For the women — assisting in the laundry and kitchen, as warders in the hospital, as scrubbers, and sewing and knitting. It is undoubtedly profitable, in so far as it takes the place of paid labour; there is a certain amount of profit from the manufacture of firewood; the amount received from teasing cotton is not great, but it provides clean and fairly healthy employment for the old men. 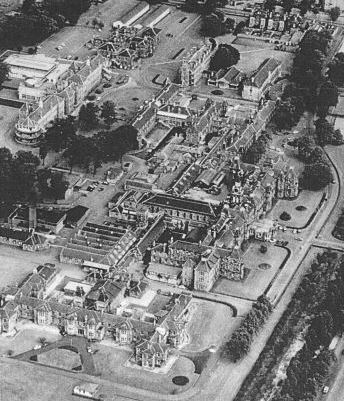 The Brabazon Society provide congenial employment for a number of men and women. Looms for weaving tweeds, &c., have been fitted up in several kindred institutions, and are, I believe, proving a great success. The children are being trained in the school in connection with the Children's Home; the older girls are taught housekeeping in the kitchen and small laundry attached, also sewing and knitting; all of school age are under the charge of a most excellent teacher. During the year 69 children have been boarded out, 6 were sent to Smyllum Orphanage, 38 were handed to parents, and 7 were sent to training ships, and those remaining do so owing to their social or physical condition. Any other Matter affecting the Poorhouse. In my last report I referred to the great increase that had taken place in the number of young men between the ages of 15 and 46 years of age admitted direct to the Poorhouse during the last five years. During the period referred to there was an increase of 130.7 per cent. ; this percentage is not decreasing, neither is the difficulty in dealing with them, and I am very strongly of opinion that they should not be housed under the same roof or allowed to mix with the older inmates. I believe this difficulty is not confined to Scotland, but is being felt in the larger cities in England. 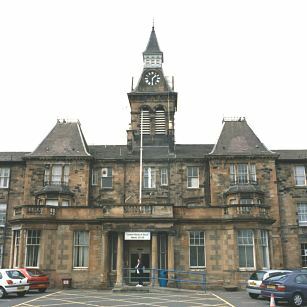 In the parishes of Glasgow, Dundee, and Edinburgh, where there are two or more houses, the difficulty in administration is not felt to the same extent; it might help in some degree if, in their case, relief were granted for a stated period, on the expiry of which they should be examined by the indoor Medical Officers, and, if certified fit, dealt with by the Inspector or Relief Committee. In 1923, the Merryflatts site became the Southern General Hospital under the control of the Corporation's Public Assistance Department. The last poorhouse beds were taken out of use in June 1936 when running of the hospital was taken over by the local Public Health Department. 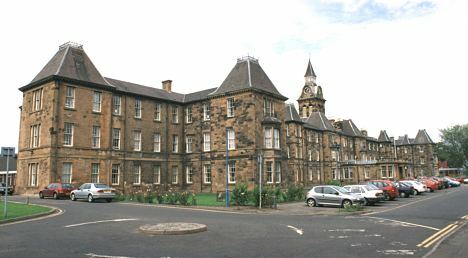 Greater Glasgow NHS Board Archive, now located at The Mitchell Library, 210 North Street, Glasgow G3 7DN, Scotland. Holdings include: Administrative records and ephemera (1868-1972); Admissions and discharges (1885-1970); etc.